This high performance master piece is the latest evolution of Gravel tyres. The proven asymmetric tread design delivers insane amounts grip on any loose surface while accelerating, braking and steering! 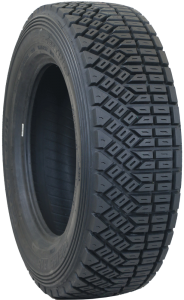 This tyre has a high tread to last incredibly long, wide gaps between the tread blocks for the insane grip, the sidewalls are extra thick to withstand almost anything and the upper sidewall has even circumferential protector ribs to help to protect the tyre from various cuts and snags. All this with Zestino quality, balancing the tyre is almost never required! These tyres are available in “left” and right” versions and for the best performance they have to be combined on each axle. When ordering 2 pieces, you’ll get a pair – 1 left and 1 right. For Racing only! Autocross and Gravel Rally stages. (Not road legal in Europe).